Welcome to the first installation of our House Cleansing Ceremony! Instead of presenting you with an overwhelming amount of information in a single post, I've decided to divide the House Cleansing Ceremony into four parts. 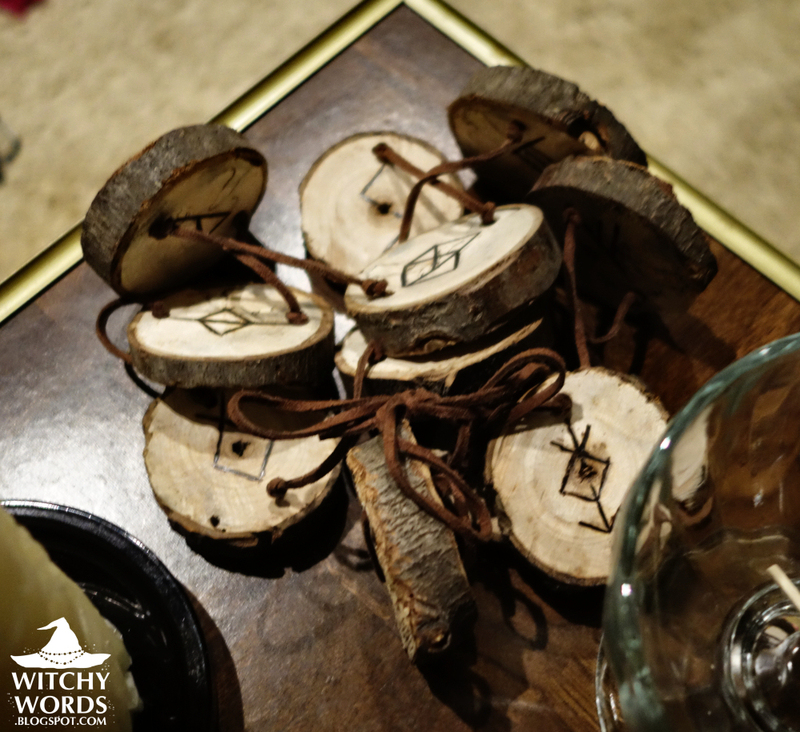 The first three parts will detail the three major activities that occurred within the ritual: A negativity banishing spell, a bowl of blessed items and this, a protective rune chain! Before I proceed, I'd like to give you a very, very brief introduction to runes. Call it Elder Futhark Runes 101 Super-Lite. Runes are symbols with specific meaning. They were typically a part of a now-obsolete alphabet, though there are rune sets that have no alphabetal meaning. Most commonly attributed as "runes" is the Norse alphabet. There are three distinct generations of that alphabet, but I prefer the oldest, called Elder Futhark. In Elder Futhark, there are 24 distinct runes, each with different alphabetical, numerological and magickal meanings. While often considered divination tools, that's not actually the runes' primary function. These markings can be used to claim, protect and charge. They're perfect for charms and talismans, as well as magickal names and spells. Once you are very, very comfortable and well-versed with the runes, you can begin combining individual runes aesthetically to make bind runes. 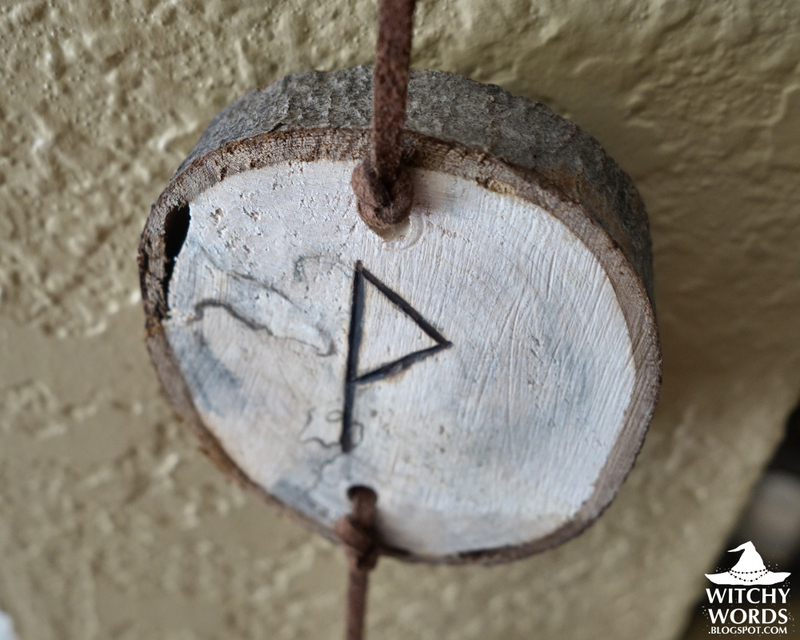 These bind runes contain personalized meanings that reinforce the magick behind them. Before you continue, please note that I do not believe in reversed, inverted or merkstave positions. 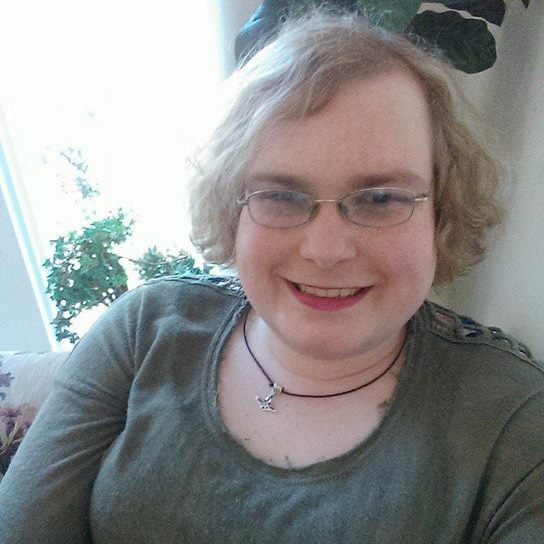 This is a personal choice I've made along my journey that suits me well. You may not have the same experience. Also remember that I've mentioned that bind runes are very personal. While I did borrow some bind runes, many of the bind runes below I created myself. These bind runes were created with my personal beliefs against merkstave runes. You are more than welcome to use them! I have no problem with that. However, bind runes and rune chains you construct entirely yourself will be better aligned with your personal energy! I decided along the way to include simple runes and bind runes in a way that flowed into what we most wanted. Originally, I was going to go to my local craft store and purchase flattened wooden pieces. Using markers, I was going to inscribe the runes on each piece, then glue them to ribbon to hang. It wasn't ideal, but there were several reasons for this plan: (1) I did not own a drill to make the proper holes in the wooden plates and (2) I did not want to take any wood from our current residence to create a protective rune chain for a different living space, particularly with all the problems we'd had with the apartment we were previously living in. However, fellow CNF member and friend Kira presented a different option! 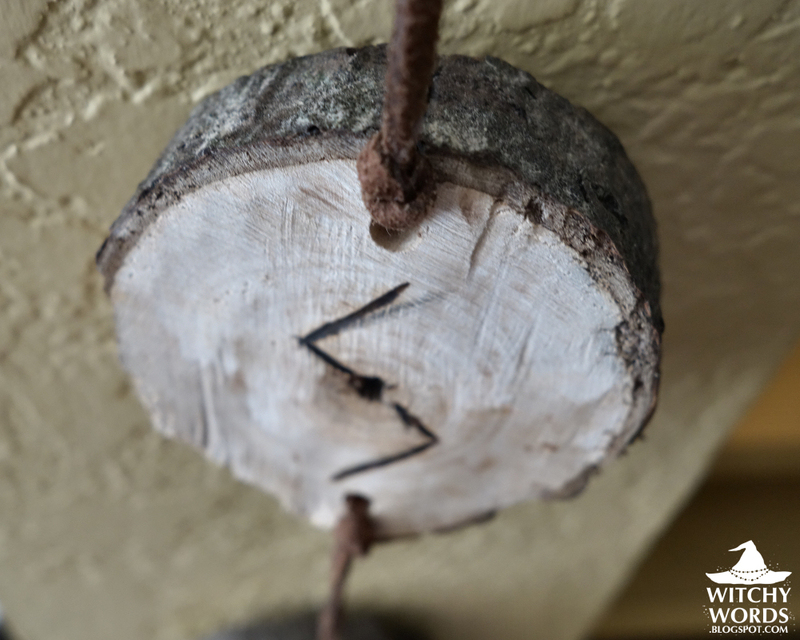 At her home, she had the available tools to not only create the runes from a large wooden branch, but to also drill holes in them so I could properly chain them together without the aid of glue. I sent her the plans from above and she got to work, creating the beautiful runes I used for the ritual. She gave them to me the night before the House Cleansing Ceremony, ready to be charged and chained together. Truly, I could not have had such a gorgeous rune chain without her help. Thank you so much, Kira! Once I received the runes, I immediately cleansed them with sage and lemon juice. I then purchased suede rope and chained them together that evening. As I chained them together, I held each rune between my hands and whispered the runes and their meanings. This included the bind runes as well. Runes can have fluctuating meanings. The best way to ensure your intent is the one that comes forward is to imbue each rune with that specific intent. This is an important part of charging your chain! Here are the runes on the day of the house cleansing. I had refused to let them fully hang until we officially put them up during ritual. Instead, I gingerly wrapped them with bubble wrap and placed them in the box we used to transport the house cleansing items to the new rental house! 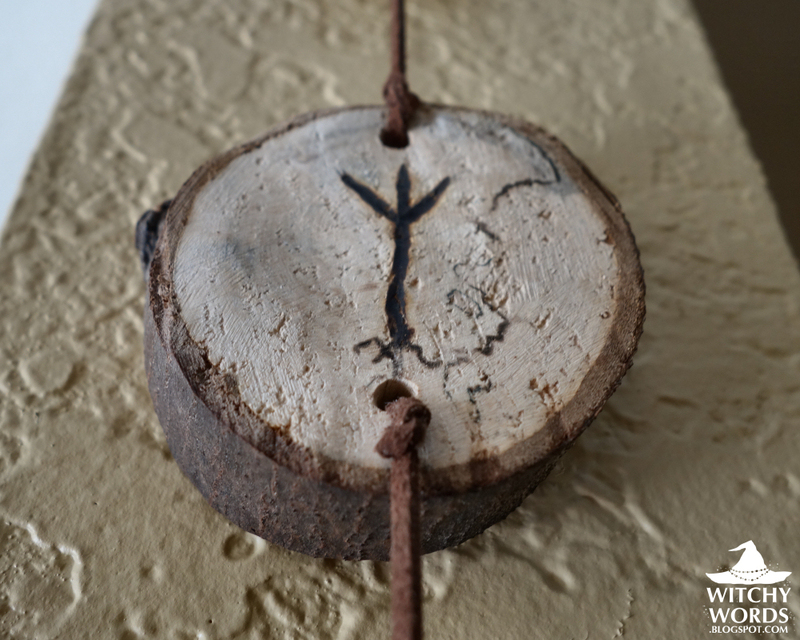 During ritual, I charged them all between my hands with positive thoughts, thinking of the meaning of each rune. While I charged them, attendants held hands and lent me their positive energy and thoughts as well. My husband then immediately hung the runes on the doorway between the front room and the kitchen as planned. 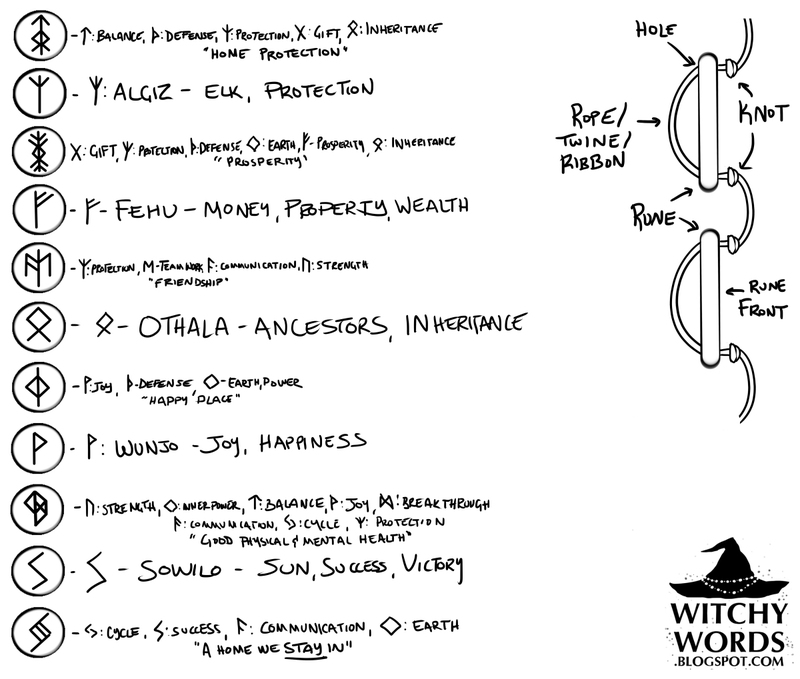 In case you didn't enlarge the planning image above, here are the individual runes and bind runes, and their intended meanings. As I mentioned before, this rune chain in very personal. You are welcome to copy it but it may not have the same strength and energy as a rune chain you create yourself! The rune chain began with this bind rune. 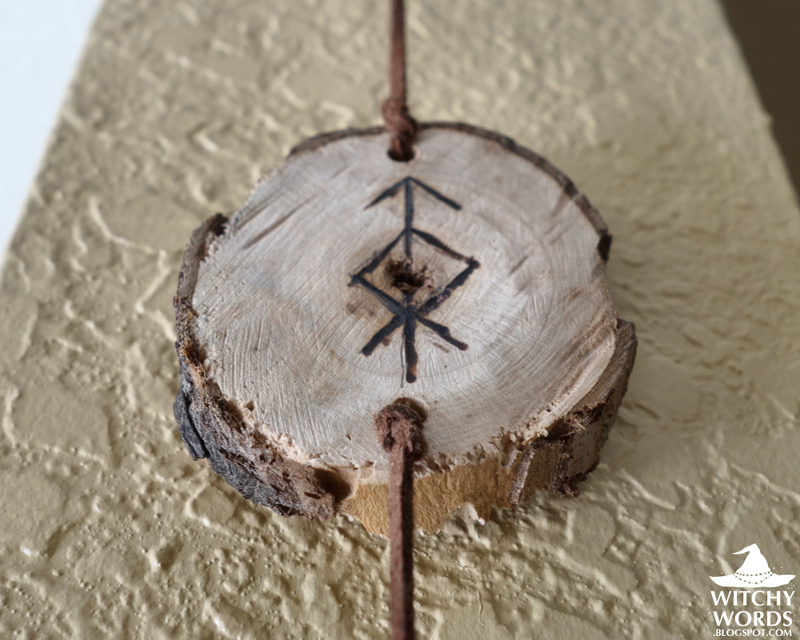 A combination of Tiwaz (balance), Thurisaz (Defense), Algiz (Protection), Gebo (Gift) and Othala (Inheritance/ Property), this bind rune was created to mean "Home Protection." By starting with this rune, I'm stating clearly that I want this house protected. I alternated between bind runes and standard runes on the chain, meaning the next tile is simply a rune. This rune is Algiz. 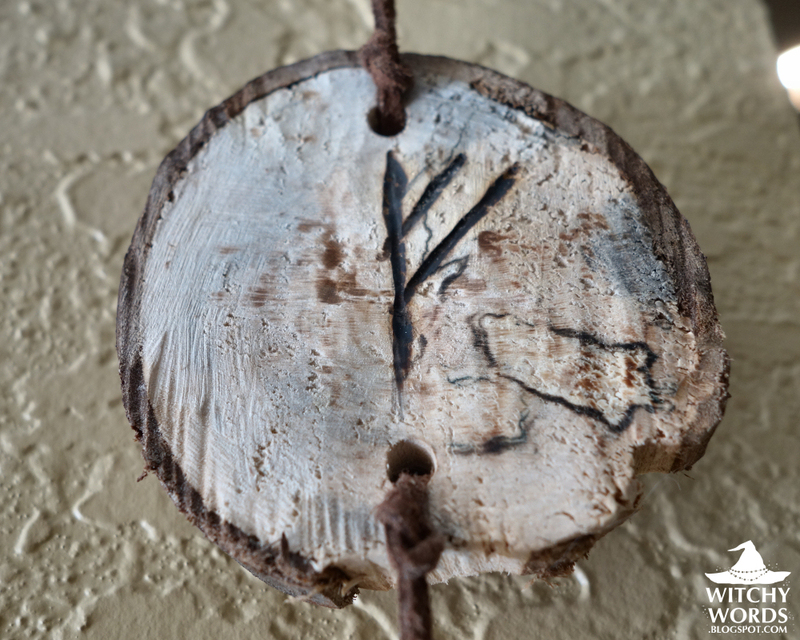 Representing elk, its root meaning is protection. This rune reinforces the bind rune above it. This next rune, of course, is a bind rune. You might recognize this rune from my prosperity orbs a couple Yules ago. 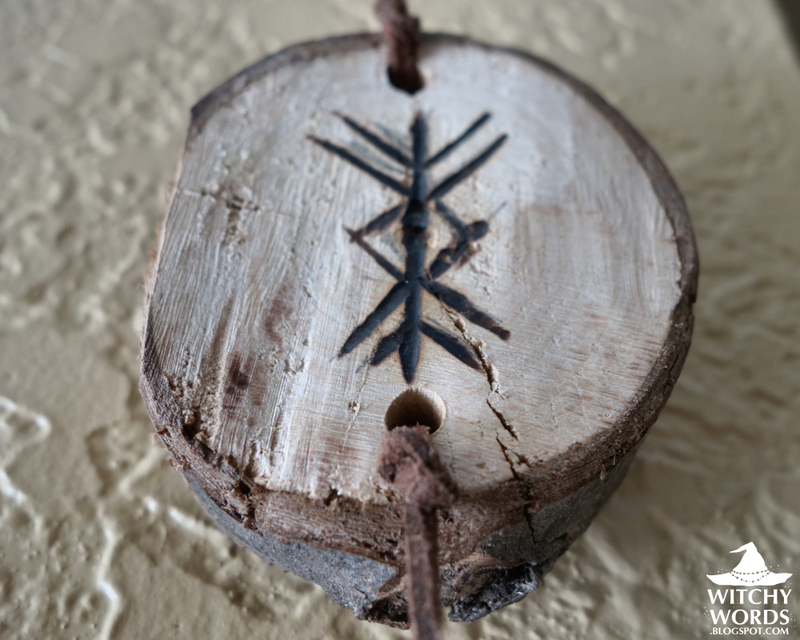 This bind rune is a combination of Gebo (Gift), Algiz (Protection), Thurisaz (Defense), Ingwaz (Earth), Fehu (Financial Prosperity), and Othala (Inheritance/Property). Overall, this bind rune is for "Prosperity." In order to be successful in this house, we need prosperity in all aspects of our life. 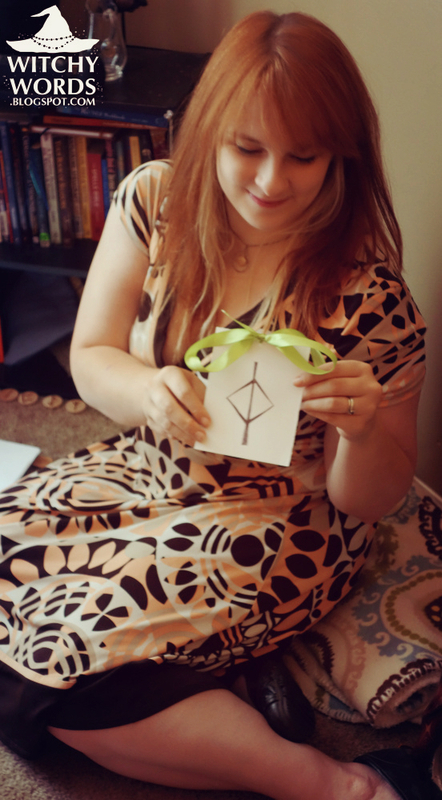 The next rune is Fehu, meaning Financial Prosperty. Fehu itself actually represents cattle, which in the time of the Elder Futhark alphabet, was a form of wealth. 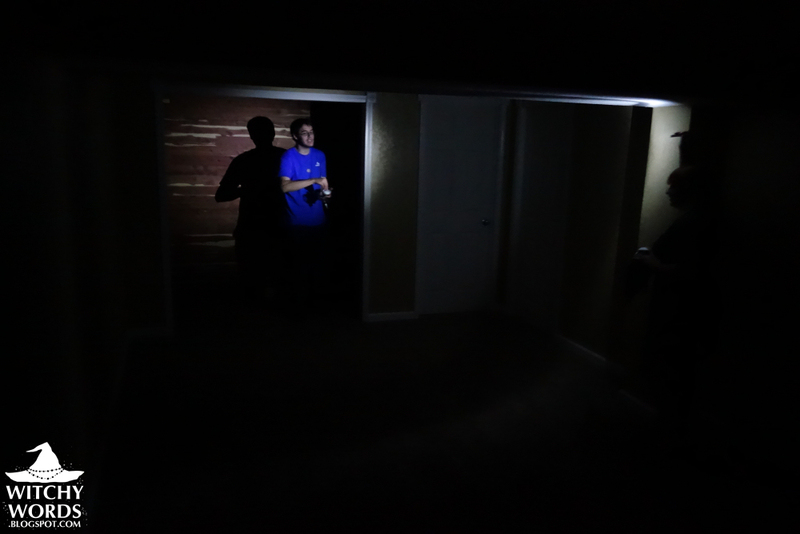 One of the biggest problems we had at the old apartment was financial troubles. This rune will hopefully counter that in our new space. Next up? Another bind rune. 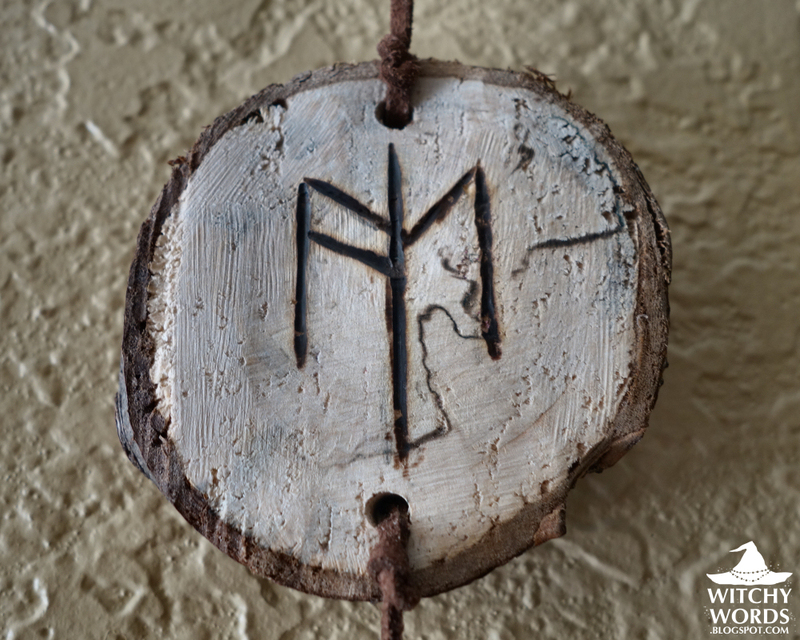 This one combines Algiz (Protection), Ehwaz (Teamwork), Ansuz (Communication) and Uruz (Strength) to mean "Friendship." Why friendship? My husband and I are rooming with our friend and fellow CNF member Tony. Say hi, Tony. The next tile is a rune meaning ancestors and inheritance called Othala. This rune brings family into the mix as well. 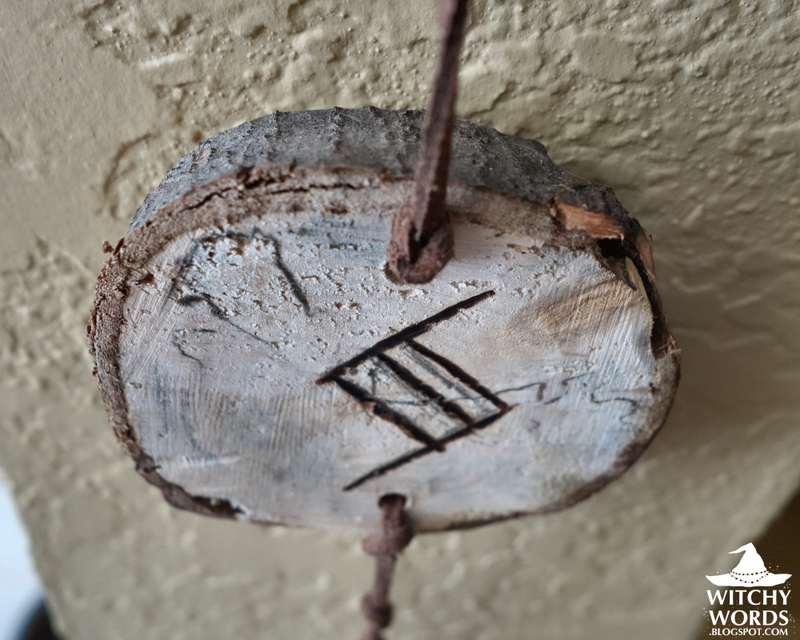 This rune brings happiness into the house. The next rune is Wunjo, which means joy and happiness. It further reinforces the bind rune above it. 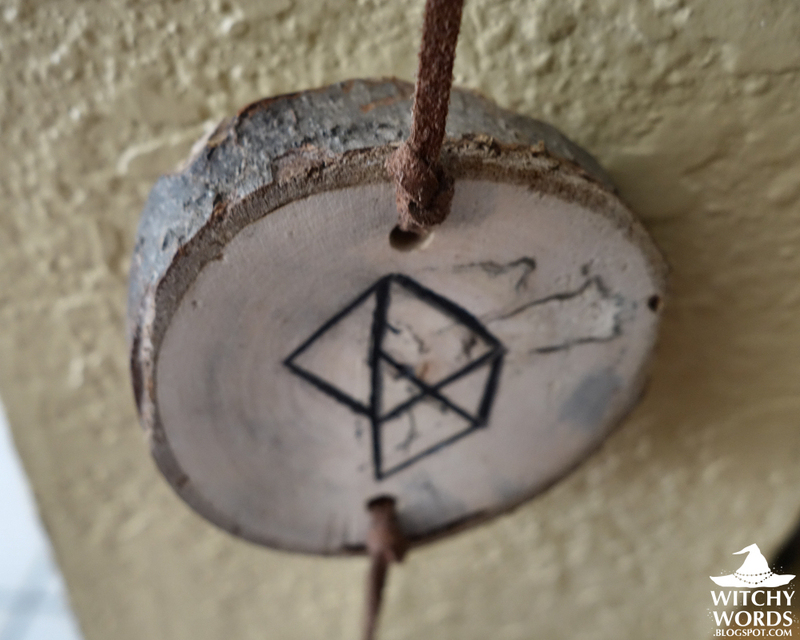 This bind rune combines Uruz (Strength), Ingwaz (meaning Earth, but also inner power), Tiwaz (Balance), Wunjo (Joy), Dagaz (Breakthrough), Ansuz (Communication), Jera (Cycle) and Algiz (Protection). Goodness! Why all the combinations? I built this rune to represent "Good Physical and Mental Health." I had so many health issues at the apartment, struggling with Multiple Autoimmune Syndrome (specifically scleritis, Celiac Disease and a vitamin D deficiency), and anxiety and depression. I don't want to have that same experience here, and am hopeful that this rune will ward against that. Sowilo is a sun rune that represents success and victory. This rune actually enforces the bind rune beneath it. The final rune on the chain is a bind rune. This combines Jera (Cycle/Harvest), Sowilo (Success), Ansuz (Communication) and Ingwaz (Earth) to represent "A Home We Stay In." My husband and I have moved four times in the past four years, and five times in the six years we've been married. I don't want to move anymore. My hope is that all of the above runes and bind runes lead to a happy and successful residency, meaning that we will choose to sign a lease again when our current lease comes up. Coming from the last rune of the chain are five knots. These five knots, and their spaces between, represent the five years we would like to stay in this house. According to my financial plans, we will be able to fully pay off his student loans after five years. At that time, I would like to start saving and purchase a house. The ending bow has four leaves, representing stability (and maybe a bit of luck) that we will need if we purchase a home. Overall, I feel this rune chain flows very well, like a perfect story. We begin by protecting our home, and imbuing it with the things we need for stability here - prosperity in all aspects of life, financial prosperity, friendship and family. We then ask for this to be a happy place, and that we will be healthy here as well. We end the chain by saying that, if all these things will come to pass, this will be a place we will stay. The bottom of the chain defines the time as five years, room to save and ends in a house that we actually own. 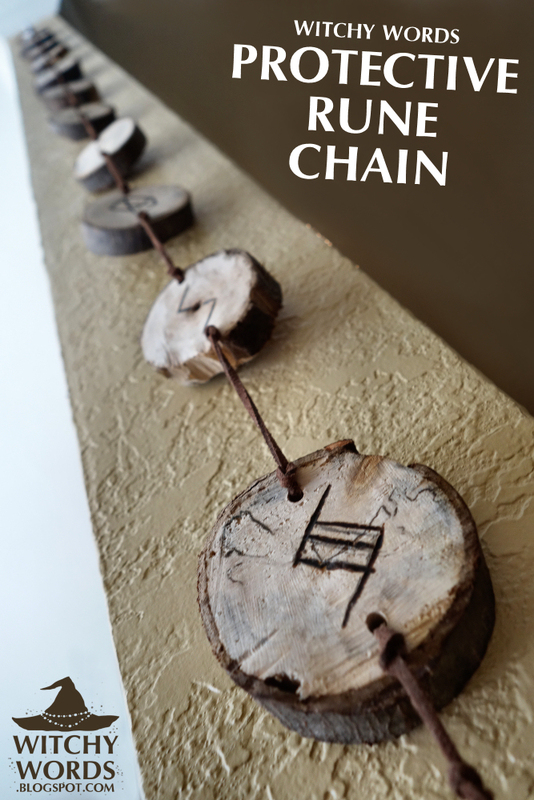 Rune chains you put together yourself are more powerful and more connected to you than rune chains you purchase or mimic. Likewise, bind runes that you put together yourself are more powerful and more connected to you than bind runes you mimic. Your rune chain should flow in a way that gets you from A to Z of your tale, particularly if you use an alphabet system, such as the Elder Futhark. It makes the most sense that your letters should form a story! Be sure to define a time and an outcome on your rune chain in some way. Spells, talismans and charms work best if they have the specifics of your needs. It doesn't have to be knots and bows! There are so many creative ways you could end your chain. 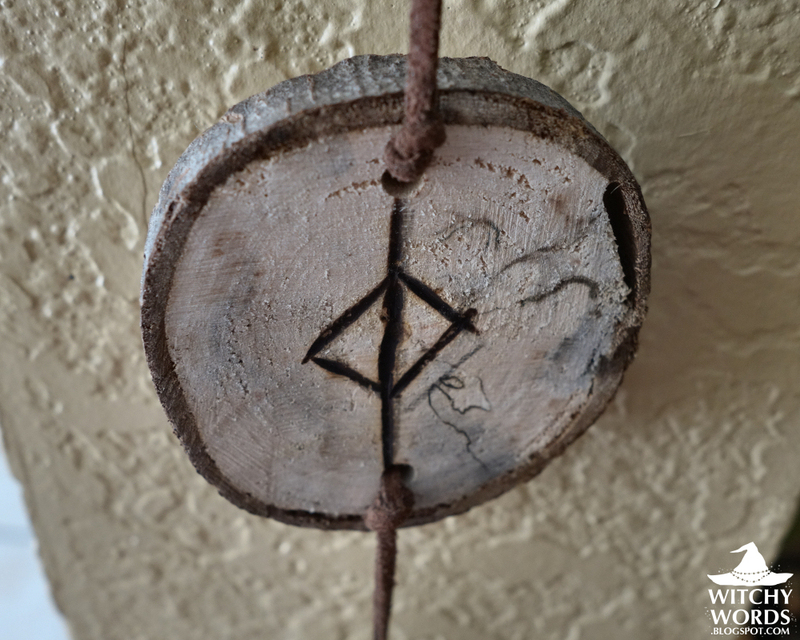 Cleanse your rune chain, either with sage, purified water, salt or some cleansing substance. 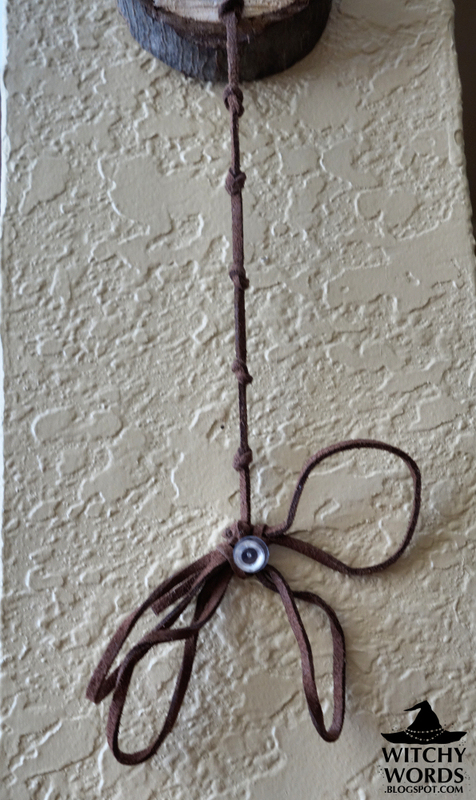 You want to remove any negativity that may have come from the wood and rope's previous life. Be sure to charge each rune individually. Whisper its name, or names if it's a bind rune, into the tile. Tell it what it means. Runes can have so many meanings, so be sure to define your intent! Charge the rune chain as a whole with your end goal in mind. Envision what you want your rune chain to accomplish as you do so. Hang the runes with care! If you have cats that may play with the end of your rune chain, try soaking it with lemon juice or lavender essential oil. My cats have paid the rune chain no attention. Or maybe it's because they're familiars. Who knows! Best of luck to you on your rune chain creating adventures! 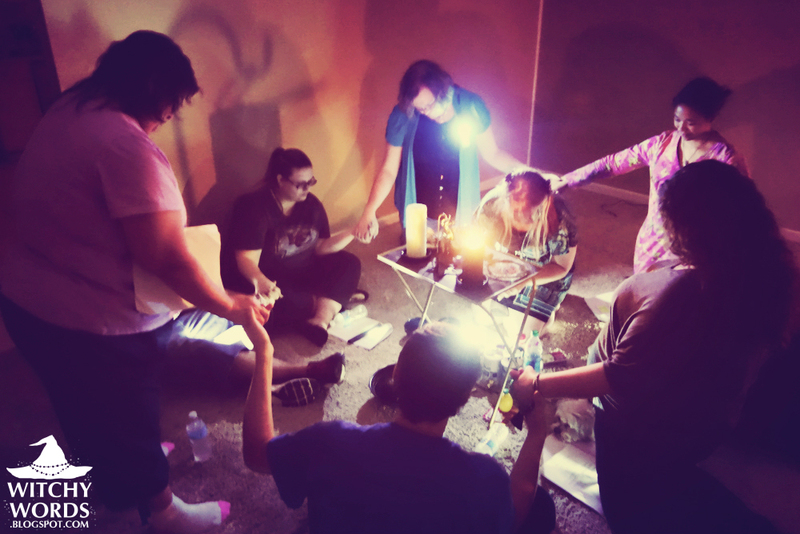 TO SEE THE FULL HOUSE CLEANSING RITUAL, CLICK HERE! FOR PART 2: THE BLESSING BOWL, CLICK HERE! FOR PART 3: NEGATIVITY BANISHING, CLICK HERE! Love it! 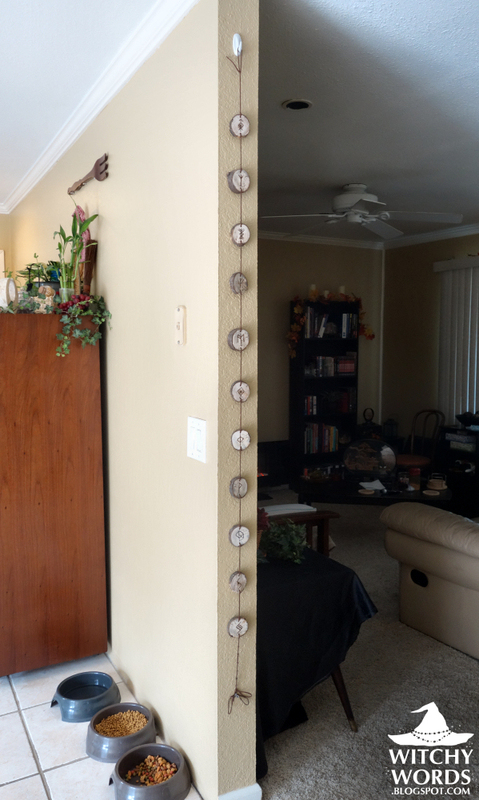 Did you make one for your previous home? Thank you! I actually did not. I'm not sure if a rune chain is an actual thing - I'm sure someone else has done it - but it's something I dreamed while planning our house cleansing. I figure if it shows up in my dreams, it's something I should probably act on! Hey Marietta, I love these they are very pretty. You should talk about Runes at Meetup what a great topic. Thank you so much, Tammy! I don't know how much authority I have on the subject in comparison to many of the other members in the group like Laurie. I'm just a fledgling at 26! But I'd be honored! I love this, Thank you so much for sharing. I am moving soon, so this post has come at the perfect time. Thank you so much! Good luck on your move! Omg, every bit of that story is beautiful. And the chain is aesthetically gorgeous. Thank you for sharing! Thank you! I have to give a lot of credit to Kira for how beautiful the rune chain looks. On my own, it would have been craft store wood tiles and ribbon! This is really beautiful! 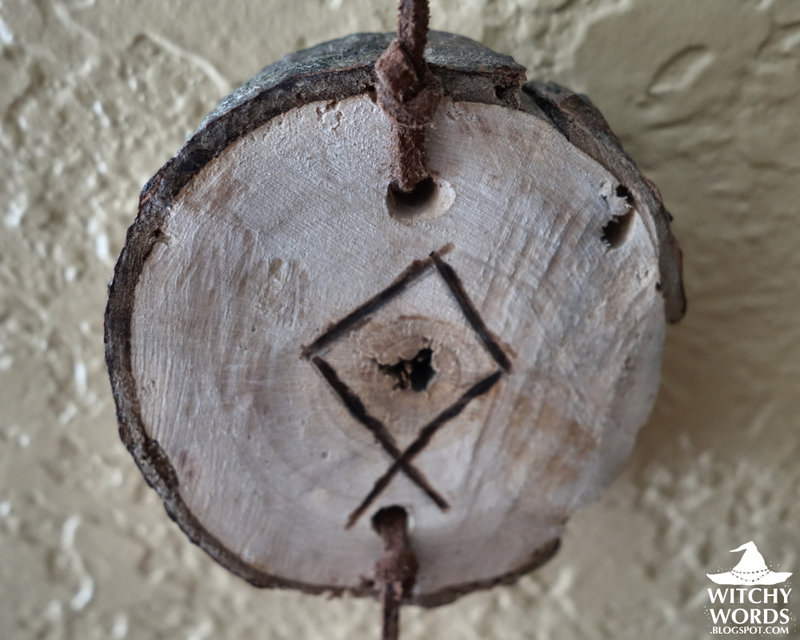 I'm very new in my pagan and Wiccan journey and must learn about runes to be able to make something like this for my home. Thank you for sharing! Thank you so much! I highly suggest any book by Edred Thorsson, though his "Furthark: A Handbook of Rune Magic" is a great starter. Runic Amulets and Magic Objects by MacLeod is a good historical-only look at runes. And, of course, the internet is pretty handy once you have the groundwork. Good luck! Wow, I stumbled upon this randomly, and i have to say, this feels very smooth and right and "flowing" to me, even though I am merely a beginner and enthusiast of runes and symbols of power. It seems so lovingly made, so deeply thoughtful, that I have no doubt it will work as you intended. Kudos to your dedication. Greetings and blessings from Germany. Thank you so much for your kind words! I'm very hopeful about it. Best wishes from the US! I'm making a very modified version of this (I'm a hidden witch) for my dorm room, do you mind if I share it on tumblr as long as I link back to you? I fold origami as my patron Deity loves hand made objects, and I'm going to fold butterflies and string them up like a room decoration, except that there'll be runes hidden inside. That sounds amazing! If you feel comfortable to do so, I'd love to see pictures of it when you're done. I actually have a post for this on Tumblr. You can find it here: http://witchy-words.tumblr.com/post/124479777858/because-it-recently-came-up-again-heres-my Thank you! Wow. I loved this! I will be doing something like this, only it will be sigils I design for us. I will hang them above the door. I really enjoyed reading your article and thanks so much for sharing it! Thank you so much! When you finish your sigil chain, let me know. I'd love to see pictures of it! What a great idea, I really like it. :) But be careful with any essential oils (especially lavender) it can be toxic to kitties. I see this was years ago but I hope everything is working out with the home. This is inspiring me and I think I will make a rune chain! I love bindrunes and already have stones outside my front door that have bindrunes painted on them for prosperity and protection etc. Blessings and Abundance to you! 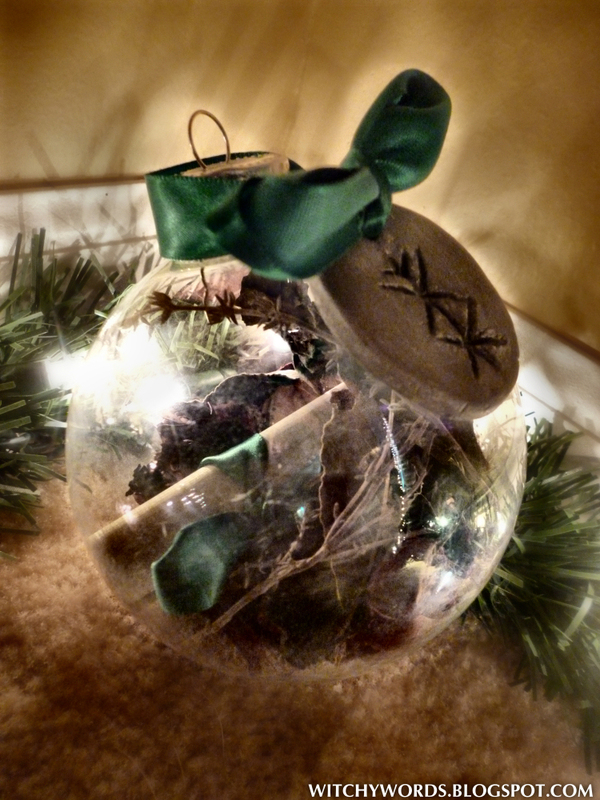 I'm thinking about having this be a part of my Winter Equinox celebration. There will be 6 of us, and I was thinking each person could make one rune for every other person in the group as well as one for themselves. We would then each string our own rune chain together. Tell me your thoughts on this, please? Would you recommend that we do this or no? I think that's a fantastic idea, Anon! Let me know how it goes! What am I purchase one?